Advances in high-throughput methods have enabled the molecular characterization of leukemias and have improved our understanding of their clonal evolution from leukemogenesis in hematopoietic stem/progenitor cells to overt diagnosable disease. It has now been revealed that during leukemia’s development and progression, genetic alterations accumulate according to the principles of Darwinian evolution. Drug resistance often emerges from changes in evolutionary trajectories of disease through selection of subpopulations that have greater fitness under therapy. In this manuscript, we will review recent data on prevalence of highly branched evolutionary patterns in myeloid and lymphoid leukemias and discuss how different treatment strategies differentially shape leukemia’s clonal architecture. 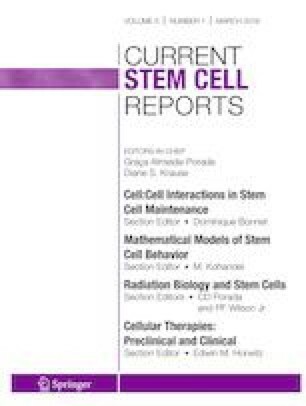 Increasing evidence on clinical impact of small pre-malignant clones prior to diagnosis and small resistant clones during treatment strongly suggests that highly sensitive experimental and mathematical models are necessary for accurate dissection of hematopoietic populations and robust identification of predictive markers for disease transformation and relapse. J-WL is a pre-doctoral fellow of the New Jersey Commission on Cancer Research (DFS18PPC017). HK acknowledges support from Rutgers Cancer Institute of New Jersey (P30CA072720).